The new Audi MediaTV app. Now for Apple TV, Smart TV, tablet and smartphone. 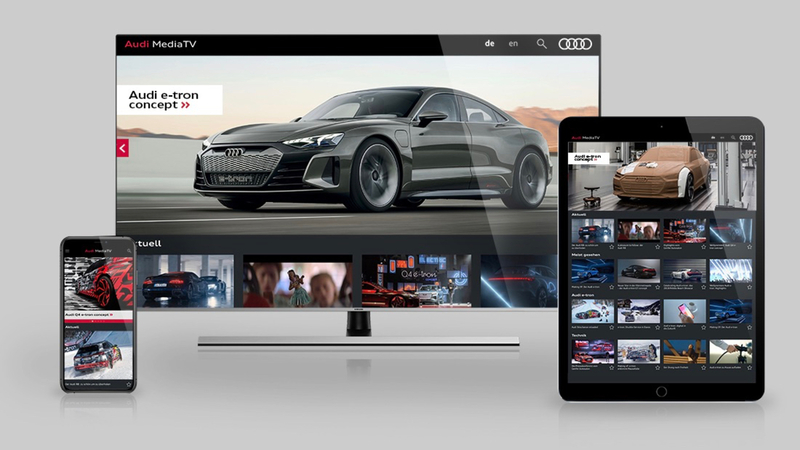 With the Audi MediaTV app for Smart TVs, viewers all over the world can follow the exciting world of Audi in UHD quality on the screens of their Apple TV or Smart TV on the following brands: Samsung, LG, Amazon Fire or Android TV devices. The app covers the broad spectrum of the Four Rings: from videos about new products, exciting live events and world premieres to background stories on technology and design or piloted driving. The ultra-high-definition resolution ensures pure television enjoyment. Audi MediaTV is now also available for iOS and Android mobile devices. Enjoy the usual programming while you are on the go and watch live events directly on your smartphone or tablet. With the second screen functionality you can also use the app to conveniently control your Smart TV.